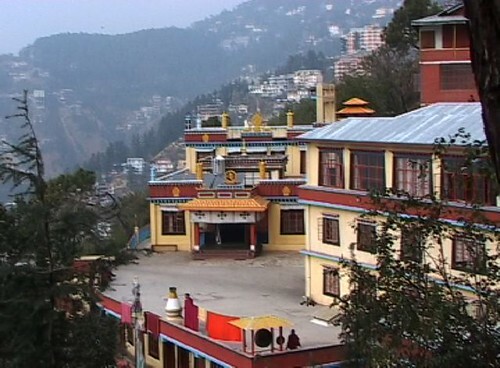 McLeod Ganj is the home of His Holiness the Dalai Lama and the Tibetan Govt. in exile. Visit Dalai Lama's temple, Norbulingka Institute (Art & Craft School) and enjoy fantastic shopping. Deliver sponsorships to the Tso Pema community. Meet Nuns, Monks, Yogis, Yoginis, grandparents, parents & childen. Have lunch, tea & laughter with Buddhist Nuns at the holy cave of Guru Rinpoche. Walk around the sacred lake, visit the Kids Garden Nursery School and discover the heart of this small village. Shimla has an old world charm and beautiful views. Stroll along the bustling mall, discover the vibrant array of shops. Enjoy meeting the monks at Kyabje Taklung Tsetrul Rinpoche’s beautiful monastery in nearby Kasumpti.